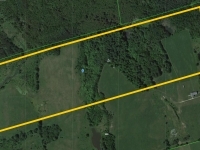 Build your dream home on the last best 93 acre parcel of magnificent vacant land in extremely desirable area. The last best 93 acres parcel of magnificent land in the extremely desirable area of Creemore. A well elevated, peaceful, natural setting affords spectacular views over surrounding Creemore/Mulmur hills and valleys. Unmatched privacy comes with several fabulous building site options, ponds, stream, majestic hardwood forest and mature evergreen woodlands. This exceptionally well located oasis of calm and serenity is in the midst of a highly sought after area of significant country estates, noted golf and ski clubs, Bruce Trail, artists’ community, and so much more. Enjoy building your country home in the heart of 4-seasons recreation. See the VIRTUAL TOUR (click) then book a showing – You won’t be disappointed.